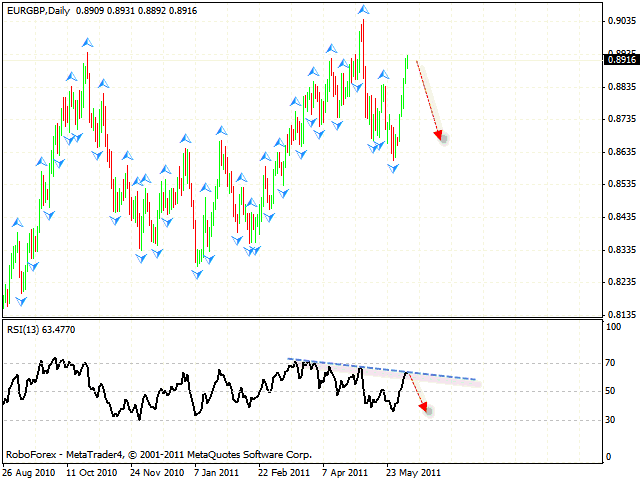 The EUR/GBP currency pair faced the resistance form the trend’s descending line at the RSI. We should expect the pair to start moving downwards. 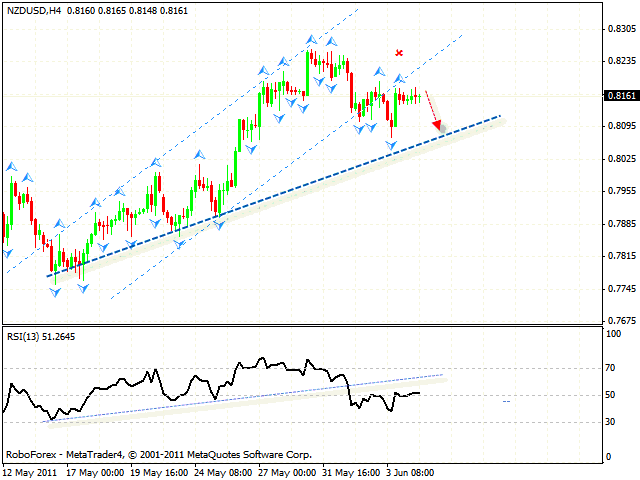 One can try the tight stop sales, the target of the fall is the area of 0.8650. If the price breaks the level of 0.8950, this case scenario will be cancelled. 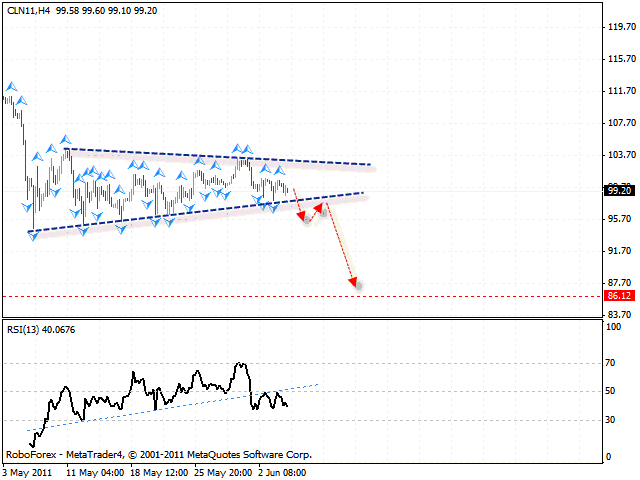 The USD/JPY currency pair is moving inside the descending pattern. At the moment we should expect the price to be corrected to the channel’s upper border in the area of 80.50 where one can consider selling the pair with the tight stop. The target of the fall is the area of 79.45. But if th price breaks the descending channel and leaves it, this case scenario will be cancelled. New Zealand Dollar has left the rising channel. 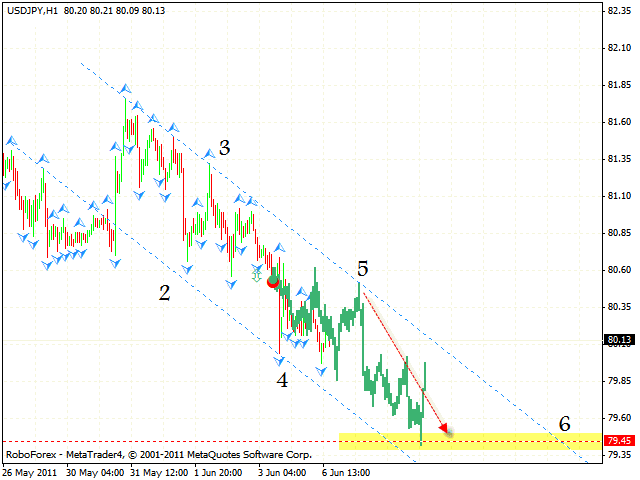 One can try to sell the pair with the tight stop above 0.8185. The arget of the fall is the rising trend’s line in the area of 0.8095. If the price reaches a new local maximum in the area of 0.8250, this case scenario will be cancelled. Oil is moving inside the “triangle”, the target of the fall is the area of 86. One can consider selling Oil only after the price breaks the pattern’s lower border. The price breaking the trend’s rising line at the RSI (thus indicating that the “triangle” may be broken soon) is an additional signal to sell the pair. But if the price breaks the level of 103.70, this case scenario will be cancelled.